At Wero Creative, we just launched CatLifter! It’s a causal iOS game in which players must save kittens from evil gnomes. Why? Because cuteness. That, and the game is inspired by my Mom’s reactions to saving the little pixelated people in Choplifer. When I was a kid I remember watching her try to play the game. She got really stressed out when she couldn’t save all of them. It was hilarious to watch, but I’m sure she didn’t find it so funny. So, I decided to make a game that she won’t get stressed out by – and a game that my nephew can play when he’s older. 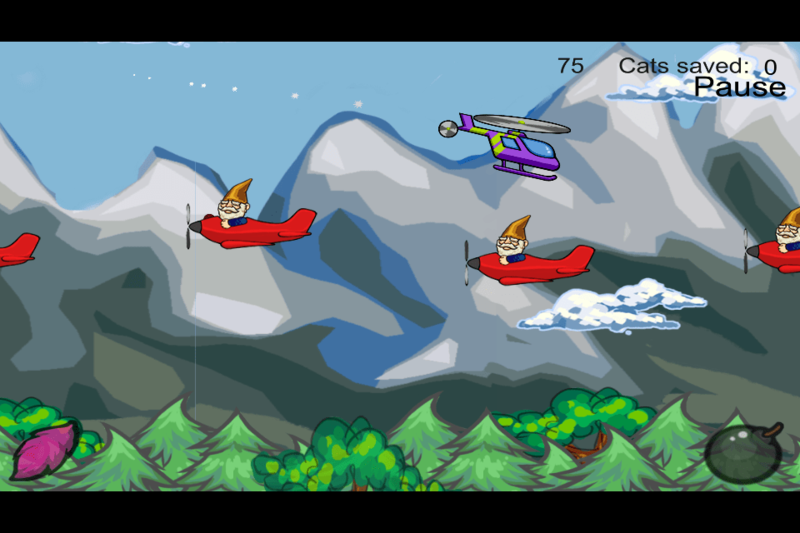 CatLifter was inspired by the classic game Choplifter as well as kittens (which are universally agreed to be adorable). The gameplay is casual and the challenge is sickeningly cute – guide your RC helicopter to the kitten carriers where the gnomes have imprisoned your feline friends. The game was built for iOS using GameSalad, one of many game making tools listed here.